Boise, Idaho Two UXO items were found during construction under Idaho Highway 45 bridge over the Snake River, according to the Idaho Transportation Department (ITD). The first device was found on October 31 when divers were inspecting the base of the bridge pier underwater. The contractor notified the Canyon County Sheriff's Office, which contacted a bomb squad from the Nampa Police Department to retrieve the explosive device. Te Puke, New Zealand A construction crew working on a residential construction project halted operations after finding a munition item. They called the police who responded and evacuated several nearby homes. 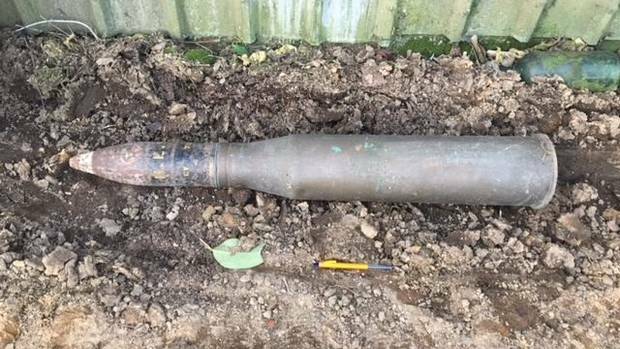 The police contacted the New Zealand Defence Force bomb squad based in Auckland for technical assistance. Maui, Hawaii Public access to a Makena Beach in Maui was temporarily restricted after Maui police responded to a UXO find. 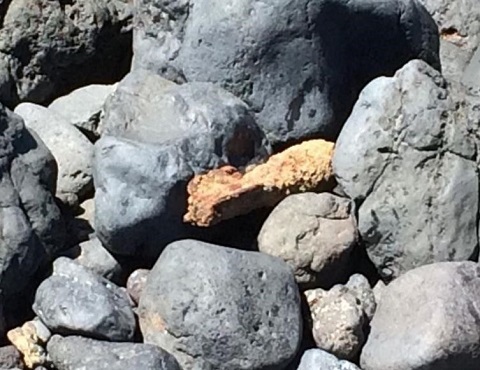 The old, rusted ordnance was found lodged between rocks at the beach. 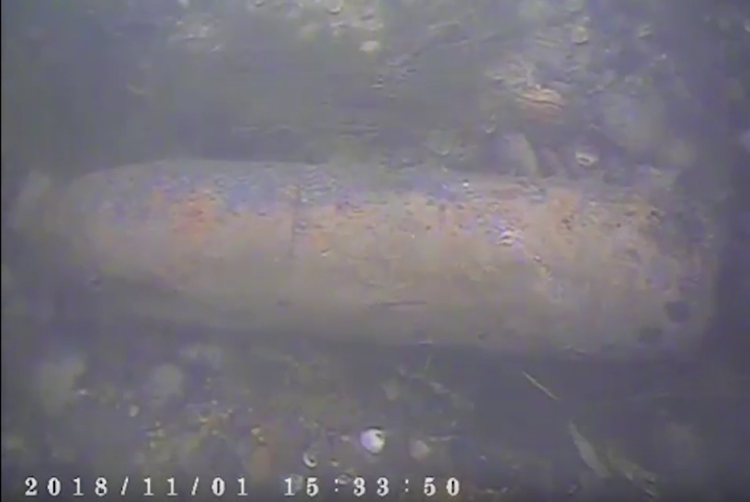 The Department of Land and Natural Resources (DLNR) reported that the ordnance was found about 150-200 yards north of an area known as "five graves." DLNR is monitoring the area until EOD from Oahu can respond to investigate the unidentified item. The public has been asked to stay away from a closed-off area near Chang's Beach in Makena until the UXO has been removed. Joint Base Lewis McChord, Washington The southbound lanes of Interstate 5 were shutdown as officials removed a UXO discovered near Joint Base Lewis McChord (JBLM). The old landmine (exact type not reported) was unearthed by railroad workers. EOD from JBLM deemed the item potentially hazardous and ordered it removed to the base for disposal. Transportation of the ordnance was safely executed and all lanes were reopened. 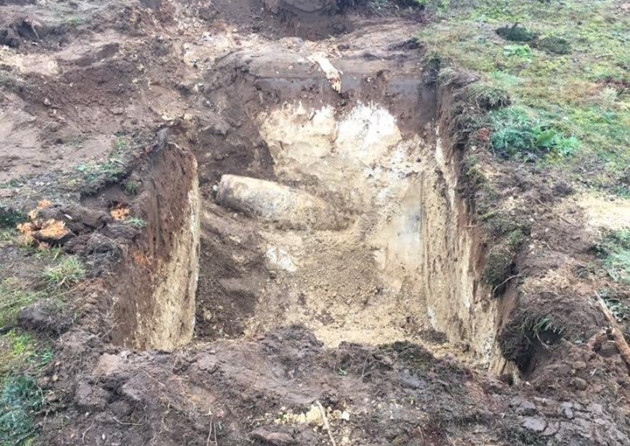 Suffolk, United Kingdom A geophysical survey crew located a 500 pound bomb and a mortar round at a project site in Thetford Forest (the largest pine forest in the U.K.). 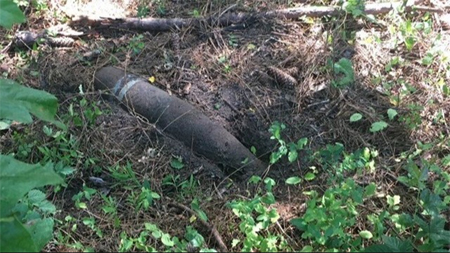 The area is known to contain UXO therefore, the Forestry Commission who owns the site had the survey completed in support of an upcoming construction project. 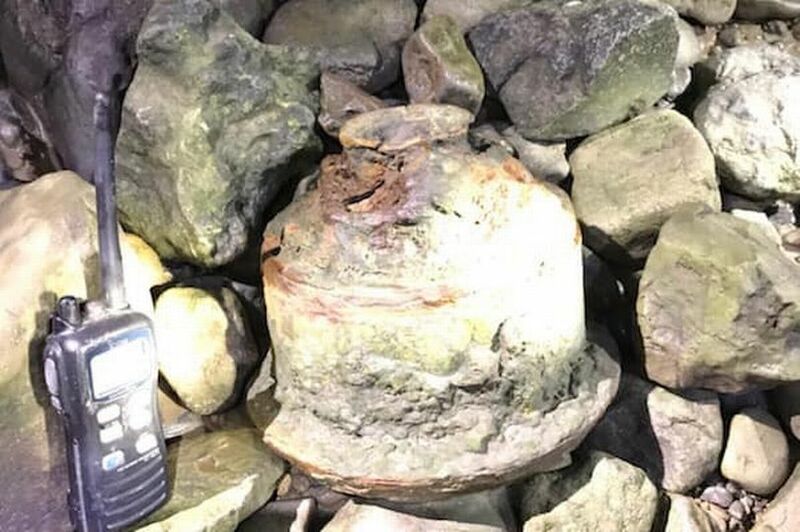 The bomb was detected with GPR and the Suffolk police kept guard on the items overnight until the bomb disposal team was able to blow the items in place the following day.